The first 30 students at Go-For-Launch St. Edward’s University, 11 – 13 July 2016. 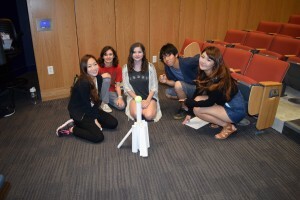 St. Edward’s University hosted its inaugural “Go-For-Launch!” event 11 – 13 July 2016. 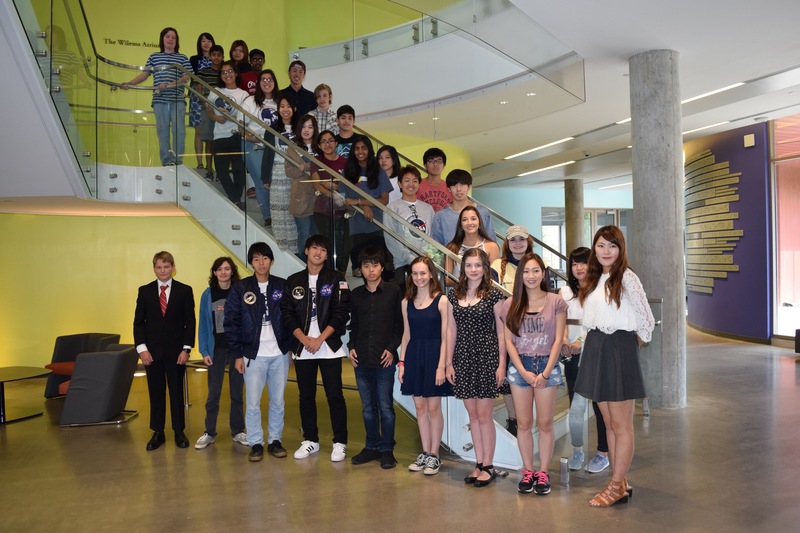 30 students participated with 15 here as part of the summer program with Asia Pacific University and 15 from Austin-area high schools. Team Rigel builds their paper tower on Day 1. Astronaut Mike Foreman met with students all three days, answering questions about life in space and the technical challenges associated with conducting experiments on the International Space Station (ISS). Students formed teams of 5, with no more than 3 international students on any given team. Monday started with competitions included building a paper tower, selecting a team name, and designing a team mission patch. By Wednesday, teams had designed an experiment for the International Space Station. In addition to Astronaut Foreman, Mac McCall (a longtime NASA contractor with Boeing who worked 18 years on ISS projects), Associate Vice President of Global Initiatives Bill Clabby, Visiting Assistant Professor of Physics Paul Walter, Dr. Paul Colosky (Space Physiologist), Dean of Natural Sciences Gary A. Morris, and CEO and Founder of Higher Orbits Michelle Lucas did the judging. The winning project, designed by a team called, “Ryusei 5,” sought to watch a phytoplankton species (Nannochloropsis) develop on the ISS to determine the impact of the low gravity environment. We look forward to hosting Go-For-Launch! at St. Edward’s again next summer, 10 – 12 July 2017. Spread the word! 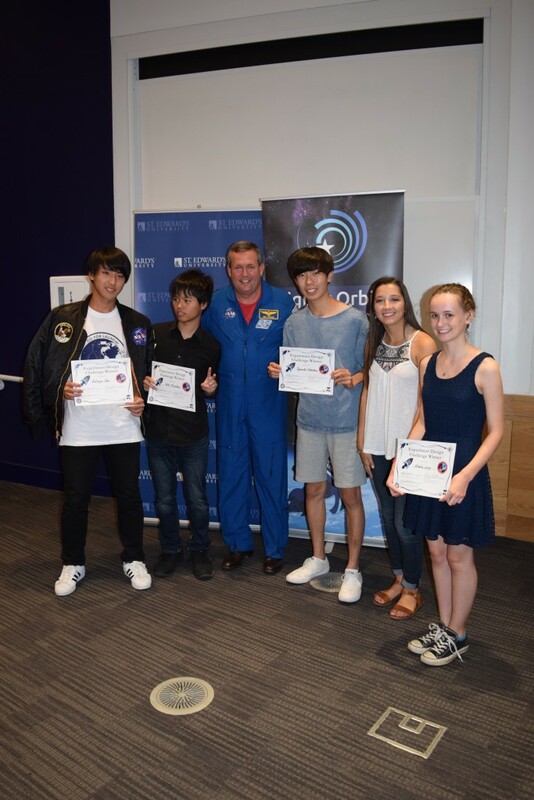 Winning team, Ryusei 5, with Astronaut Mike Foreman at the inaugural Go-For-Launch! event at St. Edward’s University, 11 – 13 July 2016.